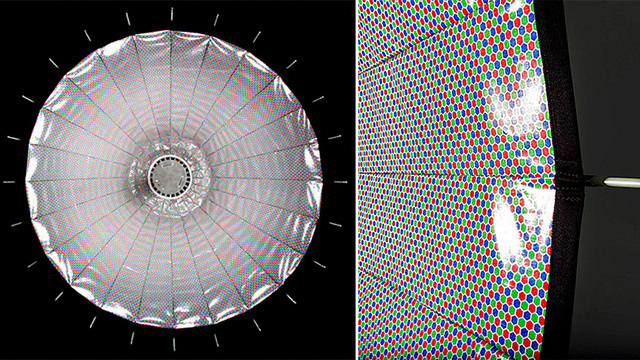 marcy evidential: Can This RGB Dotted Reflector Really Improve Digital Camera Shots? Can This RGB Dotted Reflector Really Improve Digital Camera Shots? A photography lighting accessories company called B2PRO claims to have come up with a simple way to improve digital photos taken with an external flash and reflector umbrella. Instead of just being covered in a highly reflective fabric, the RGB Umbrella actually features a complex pattern of red, green, and blue dots across its surface?like a digital camera's sensor?which are claimed to reflect the colors a camera's most sensitive to.